I am working with Unity (C#) and was looking for an implementation of Slerp and possibly Lerp that allow overshoot (progress not strictly limited to 0..1 range). I want to do some tweening animation using an elastic ease-out function. My ease-out function returns values slightly outside the 0..1 range in order to get an oscillating-around-the-target effect. 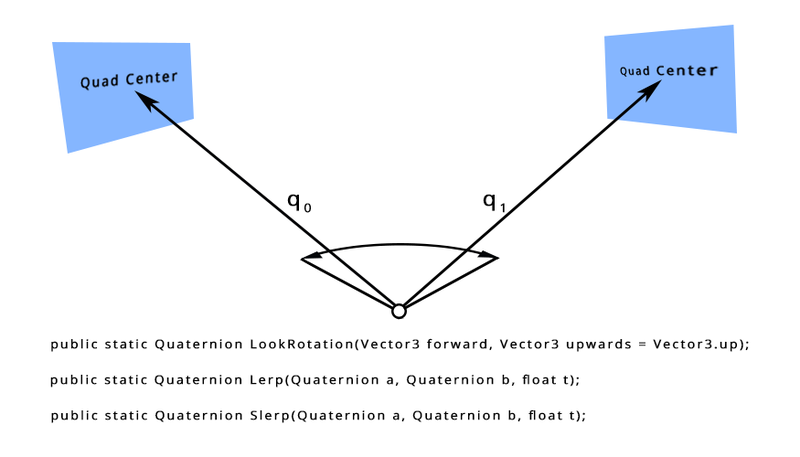 The problem is that Unity’s Quaternion Lerp and Slerp functions appear to clamp the progress input in the 0..1 range. Implementation code in any language would be helpful. I don’t know enough about Quaternion math to write this myself. // These methods are all public to enable reflection in GetCurrentValueCore. 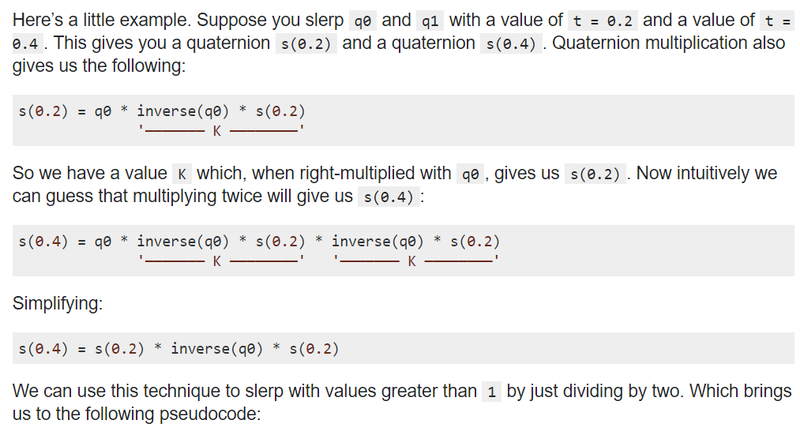 /// Easing equation function for a simple linear tweening, with no easing. /// The easing equation to use. /// Starting value for the animation. /// Ending value for the animation.